Fire Projects provide maintenance and AMC contract for fire alarm system. Fire Alarm System is central component of any fire protection installation and it deserves the highest level of care and maintenance achievable. The prevalent trend is for property owners to outsource this technically demanding task. However, the highly competitive environment and the expectation of unrealistically low prices by property owners often prevented maintenance contractors from delivering the expected level of service. As a result, the level of care and maintenance delivered may deteriorate to an extent that compromises the integrity of the system, thereby compromising the safety of occupants and property. Selecting Fire projects for service and maintenance Contract, which is a cost effective way of fire alarm system, smoke detector, heat detector, sounder strobe, manual call point. Fire Projects visit at your location and does maintenance of your fire alarm system, and gives you peace of mind that your equipment will work when it is needed most - in the event of a fire. 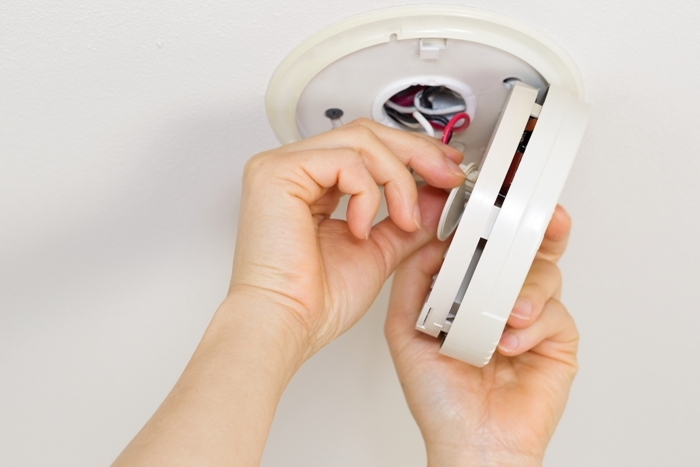 Fire Projects engineer with his in depth knowledge of fire alarm system does servicing of fire alarm as per service guideline for fire alarm system. 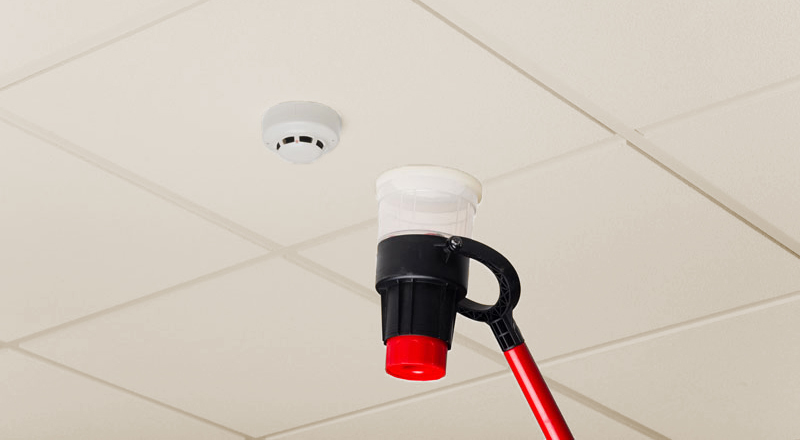 Servicing of fire alarm needs to be carried out by a competent person. We suggest routine Fire Alarm maintenance of your Fire Alarm System on quarterly basis; however it’s upon customer decision to select duration for maintenance contract based on risk assessment. Fire Projects meet the needs and requirements of all customers, working in partnership, offering best practice advice, and ensuring that life safety systems meet all legislative requirements and carry out the functions which are designed for – providing safety for life. Once a fire alarm maintenance or fire alarm servicing contract is in place, Fire Projects will contact you and will arrange a convenient time of fire alarm system engineer to attend your premises for service and maintenance of fire alarm control panel. In case of fire incidence timely and orderly evacuation is very crucial factor and fire alarm system detects fire on early basis. Fire alarm system gives notification of the fire existence and evacuation can start on immediate basis. Determine condition of detection system and prevents failure by systematic inspection and monitoring undertaken at predetermined time intervals. 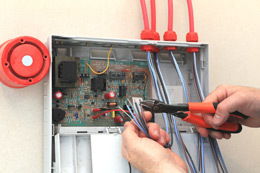 During this maintenance fire projects checks fire alarm control panel, power supply and battery back-up of fire alarm control panel, detectors (smoke detector, heat detector, and flame detector), signalling devices (MCP, Hooter, Sounder strobe), cable and connection and current. During this maintenance fire projects perform corrective maintenance work which result in make entire system condition into normal mode and system become fully functional. This kind of maintenance can be done to meet mandatory requirement and to comply statutory norms. In case of requirement fire projects do statutory maintenance. This kind of work performed in unplanned and reactive maintenance action to restore the full functionality of fire alarm system and its component as result of an unforeseen failure. 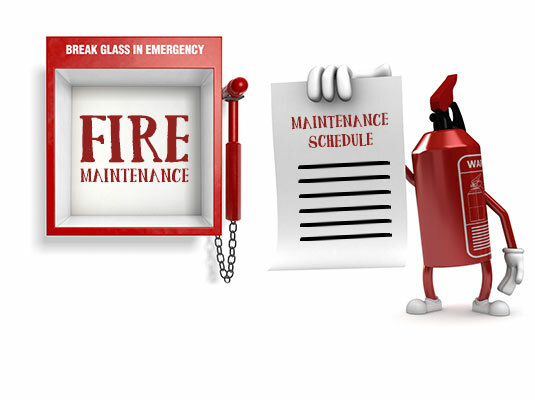 In case of fire incident, damage, lighting strike, vandalism and other accidents this kind of unplanned maintenance can be carried out to restore the full functionality of fire alarm system and its component. According to BS5839 part 1, Fire Projects always recommend preventive maintenance, which time-based maintenance. 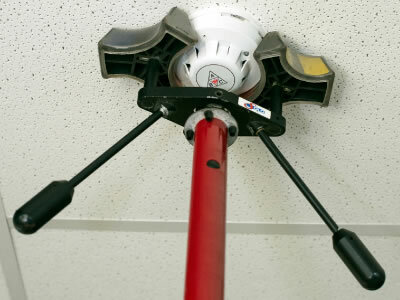 It ensure critical life safety functions performed by fire alarm system all the time. As per BS5839 part 1, at following frequency time-based preventive maintenance should be done. Check the control panel to ascertain that it shows normal operation. Otherwise log the failure and ensure that any fault reported the previous day has received attention. Ensure that the system is capable of operating under alarm conditions by operating at least one detector or call point on one circuit (zone or loop). Visually inspect backup batteries, check fuel, oil and coolant levels of any standby generators, if any. Simulate mains failure to automatically start standby generator to power the fire alarm system for at least 1 hour. Check for malfunctions. Restore to normal supply and check generator start up battery & charger. Check entries to log book and ensure that necessary actions are taken. Examine batteries and their connections and test them as specified by supplier to ensure that it is not likely to fail before the next quarterly inspection. Check Alarm functions of the panel by operating a detector or call point in each zone. Check Alarm sounders and automatic link to remote centres, if any. Check all ancillary functions of the control panel, where possible. 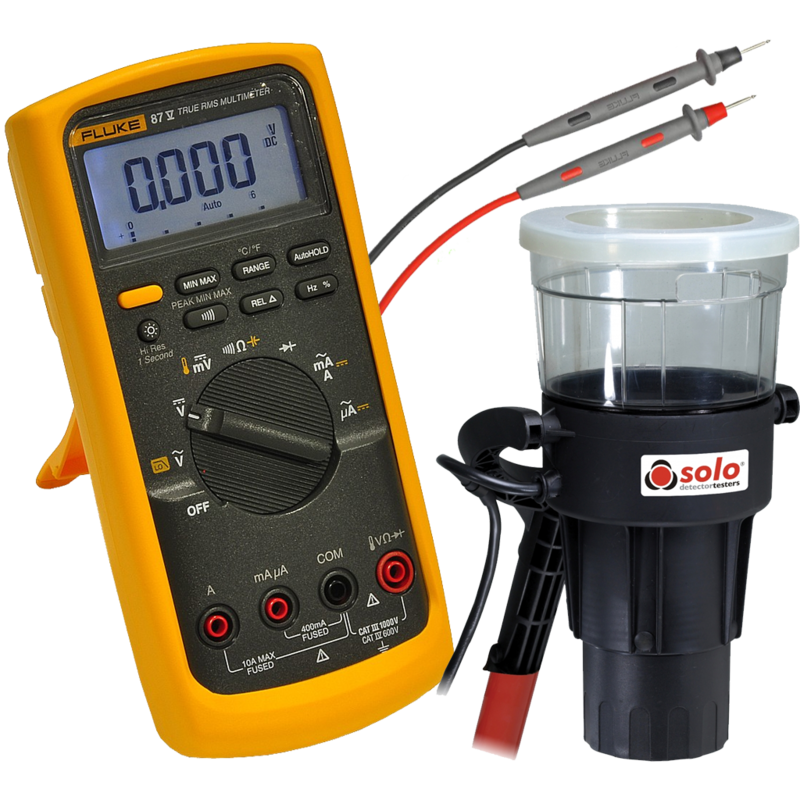 Check all fault indicators and circuits by simulating a fault condition. 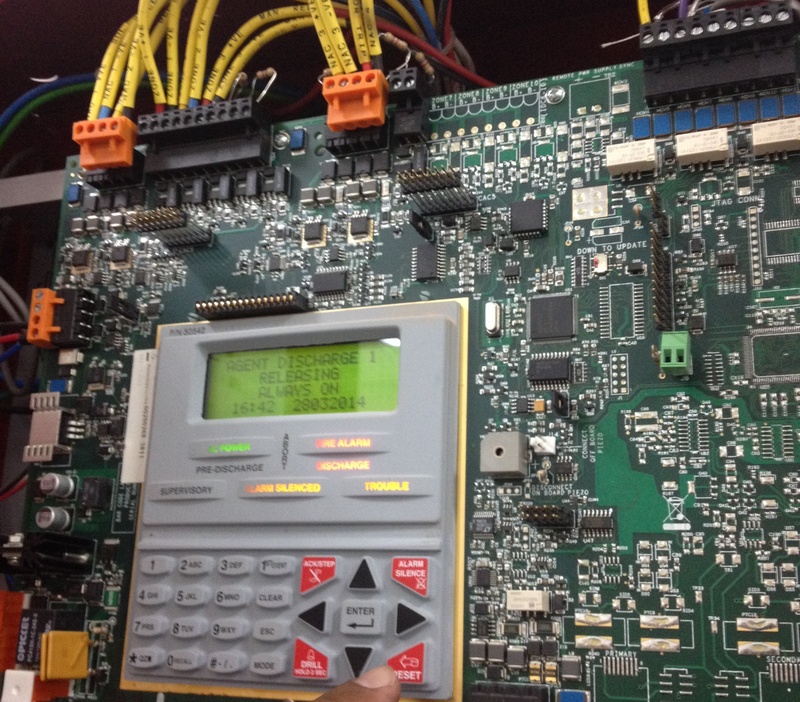 Visually inspect the control panel for signs of moisture ingress or other deterioration. Visually inspect whether structural or occupancy changes have affected the requirements for the sitting of call points, detectors and sounders. Check each detector for correct operation in accordance to manufacturer’s recommendation. Visually check all cable fittings and equipment are secure, undamaged and adequately protected. Record any defects in a logbook and upon completion, a certificate of testing is issued to the responsible person.